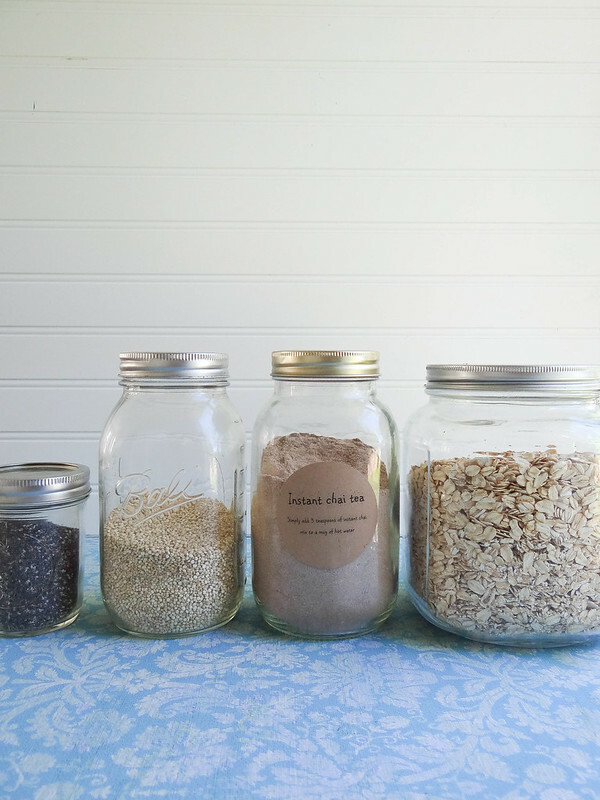 I always keep a batch of my Instant Chia Mix on hand- if you do not have the means of time to make a batch sub in your favorite chai tea with a little extra cinnamon or use a vegan friendly chai latte mix such as Oregon Trail Chai Mix and reduce or eliminate the water all together. 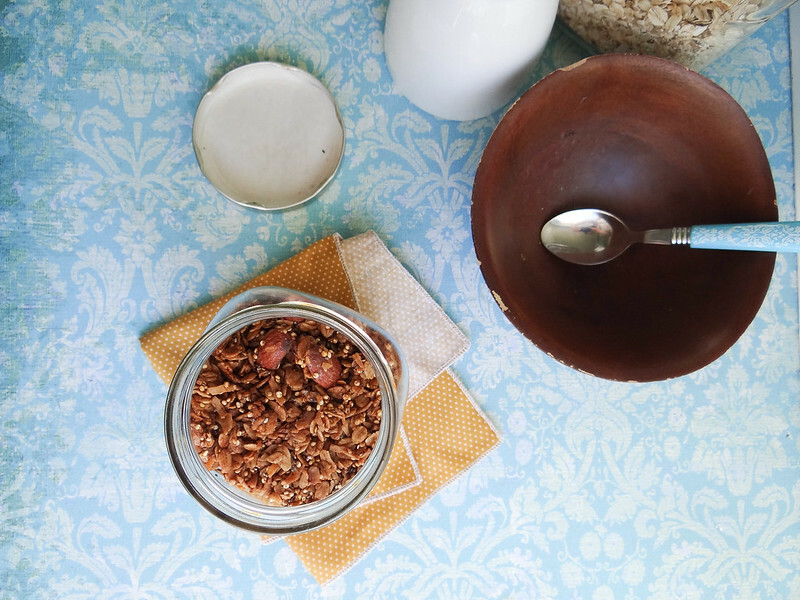 If you use certified gluten free oats this granola is great for your gluten free loved ones. 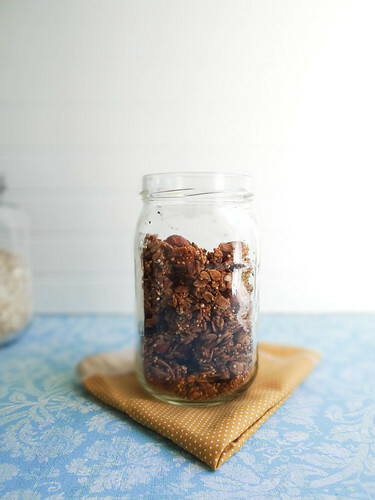 It's kind of silly to buy granola at the store when making your own is so easy and tastes better, the good stuff can put you back at least $5 or $6 bucks, when making your own will cost you maybe $1 or $2 per batch if that. 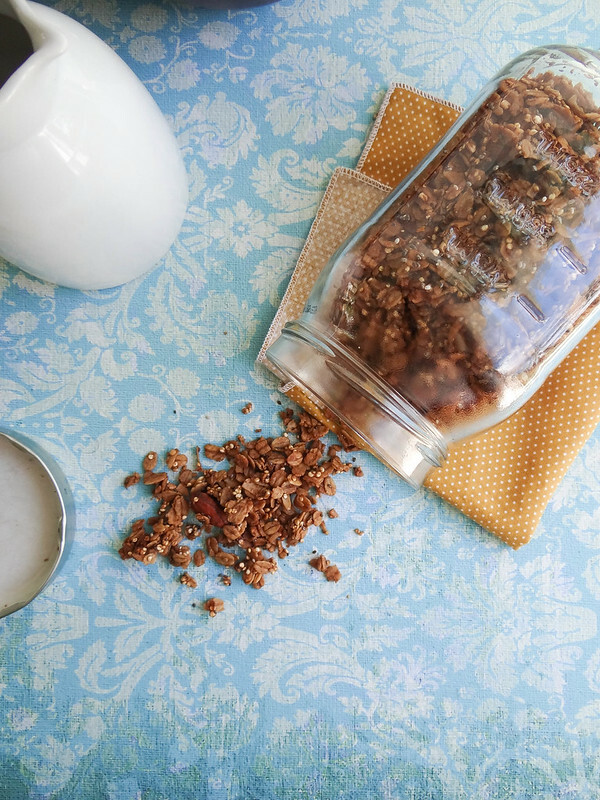 I absolutely love using maple syrup as the sweetener in all my granola recipes, orange juice is another great way to add sweetness if you aren't feeling the maple syrup. 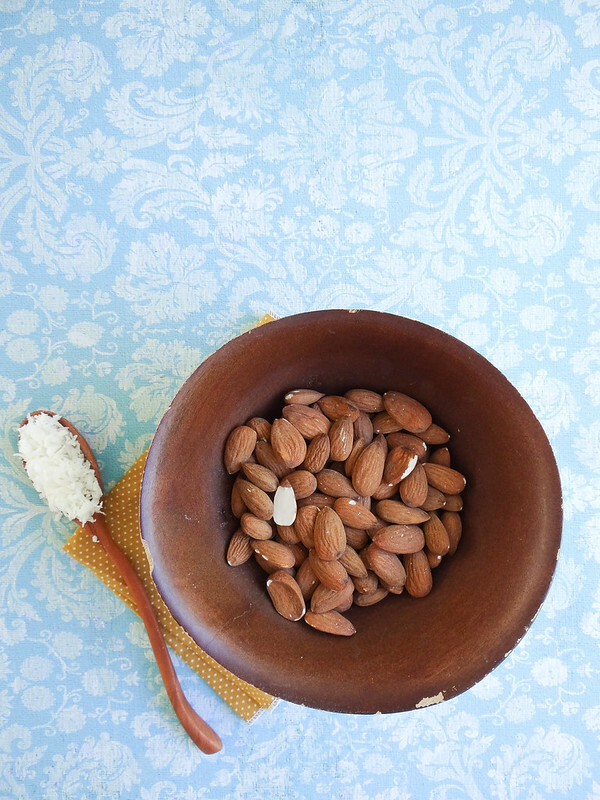 Almonds or any nut for that matter is a must- do it...unless you have an allergy, then don't do it. Pour it over your fruit + yogurt, eat it by the handful or drown in a bowl of mylk- whatever suites your fancy. I do all of the above, one at a time of course. I also love giving away mini mason jars to people; instant love in a jar. 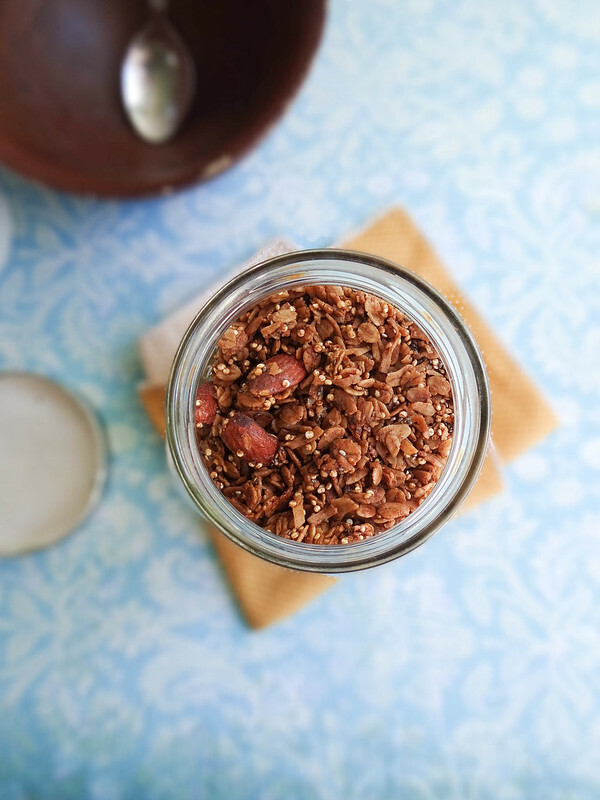 Do you make your own granola- what is your favorite combo? Tell me how much you love Fall, I am pretty sure there's not a soul around that 's disappointed when Fall rolls around...if there is they must be the same people that hate Christmas. Mix the dry ingredients in a medium sized mixing bowl- set aside. In a small sauce pan add the wet ingredients until coconut oil melts and chai mix is incorporated. Dump the coconut chai mix into the medium mixing bowl with the dry ingredients and mix well with a rubber spatula. 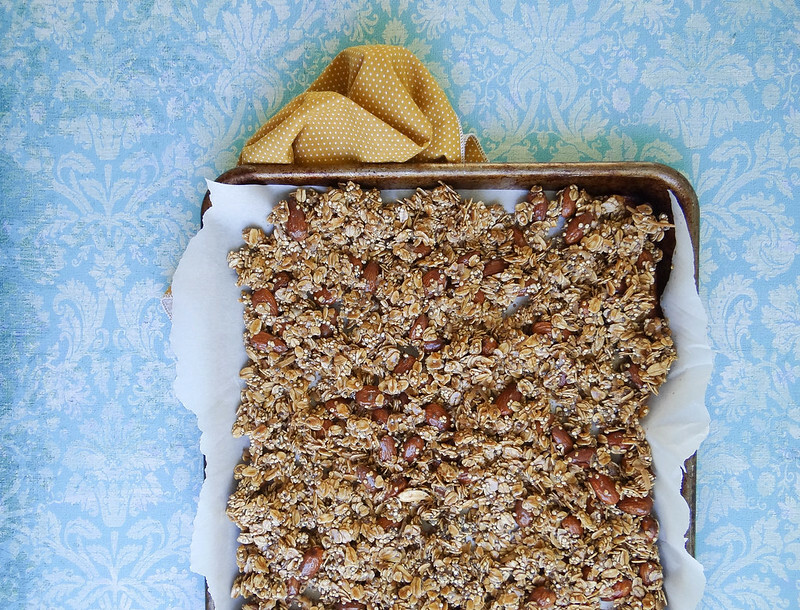 Evenly spread the granola onto a parchment lined rimmed baking sheet (large) - place in oven and bake for 15 minutes. At the 15 minute mark turn the pan and stir around the granola, bake for an additional 15 minutes. 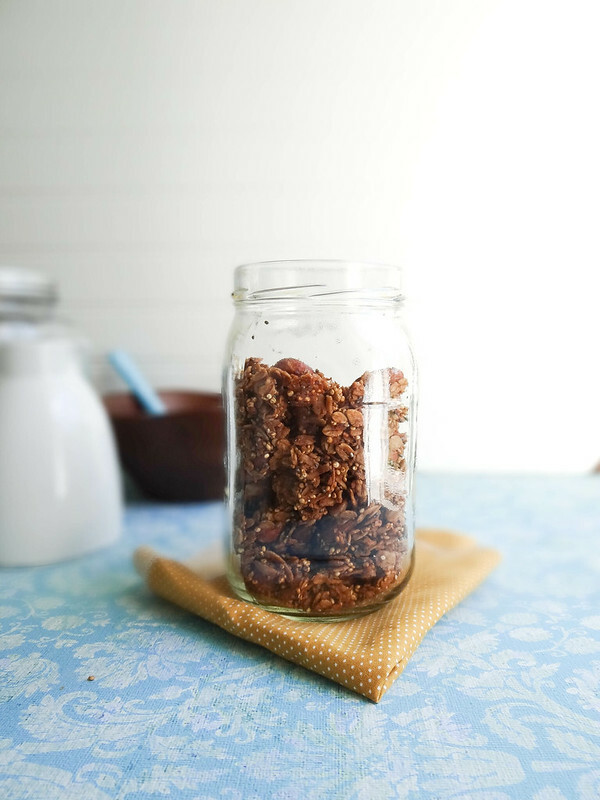 Remove from oven and place on a wire cooling rack- with the back of a spatula firmly press down on the hot granola (this helps to form those awesome granola chunks!). Total Cook Time: 30 minutes turning granola at the 15 min mark. 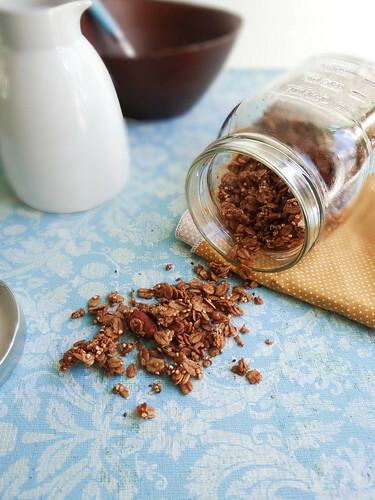 Bake an additional 15 minutes for an extra crunchy granola. I'm totally missing fall here in Sicily - it stinks! Soooo now I'm totally drooling over this! Lucky for me, I can still get these ingredients thought! Success! NO WAY. I literally just stocked up on oats and almonds and coconut and spices because I am making almond and coconut chai spiced granola! Great minds think alike. Chai is usually the first flavor I think of when fall hits (yes, even before pumpkin!) and I adore almond and coconut in my granola to begin with... so I'm pretty sure this is my favorite granola flavor, haha! I was going to make mine either tonight or tomorrow, but now I'm thinking I might have to do it sooner rather than later, because my mouth is watering. Granola, here I come! of course i love fall. i love the smells and the fact that my entire neighborhood kills it on the outdoor decoration front. and i totally agree with you on maple syrup and nuts in granola, tis nothing better! Yay! Fall is definitely the best season. This granola sounds delicious! 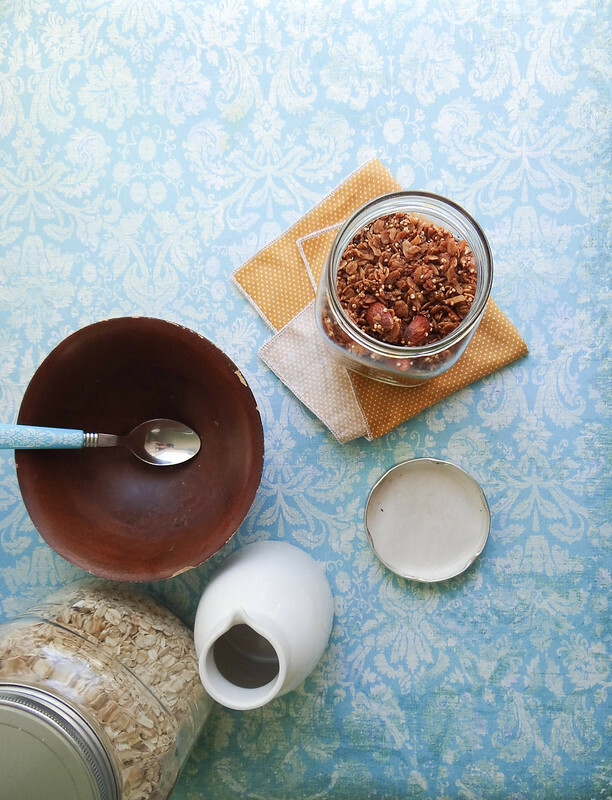 I never think to make granola for some reason -- although I always have oats and nuts around. I'll have to give it a try! I think that here you will find some good educative articles.